I went out to dinner last night with my husband and several of his co-workers (all electrical engineers) and my husband tells our dinner companions that he likes classifying everyone at work under three categories: Nerds, Dorks, Geeks. He then proceeded to inform everyone at the table where they fell. (He, of course, is the rare exception among engineers and claims that he does not fall under any of the three). So, being engineers, they couldn't just leave it at that. They had to define what made a nerd vs. a dork vs. a geek. Nerds would build a simulated robot. Geeks would build an actual robot. Dorks would dance like a robot. I have always considered myself a nerd, so I didn't like this definition of nerd (because I had to ask my husband what a simulated robot even was) so I have to add that I think a nerd would READ about robots, too. And even though robots are not my reading topic of choice, I will read about almost anything else, so I am a nerd. 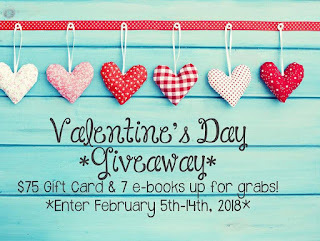 **Don't forget to enter my birthday giveaway for a chance to win in any book you want. 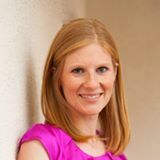 ***If you get a chance, head over to Jolene Perry's blog and congratulate her! She's one of my favorite critique partners and has some awesome news. Definitely a nerd. Yup. That's me. My husband and I are wiping tears. One of these days we'll SO have to get our families together. I predict hilarity. I read it out loud and by the time we got to dance like a robot, I could barely speak and he was doubled over in the kitchen. And yes, I'm a total book nerd. Also, what the heck is a simulated robot? Okay, I asked my husband what a simulated robot is, and he said, "a robot you control on the computer." Oh, and CW adds "I like to blow up robots, so what does that make me?" This fits where I work perfectly. Especially the robots. So the computer engineers are nerds, the electricals and mechanicals are geeks, and--uh, I'm the tech writer. Uh... I'm a dork. :P But only this meaning of dork. He he. I guess I'm a dork since I (jokingly) danced the robot last night. Hmm . . . my whole world has been turned upside down thinking I was a nerd all these years. Seth would say he doesn't fit into any of those categories even though he hangs out with those types all day.